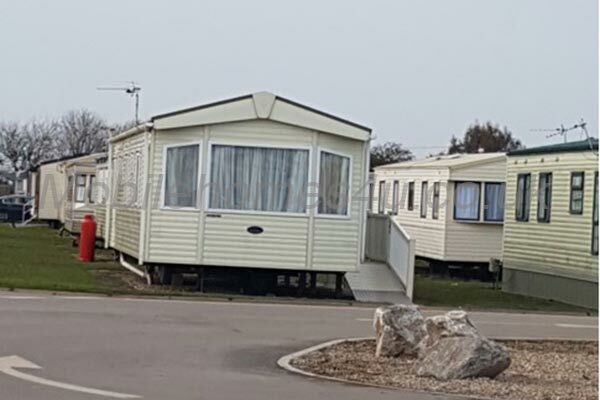 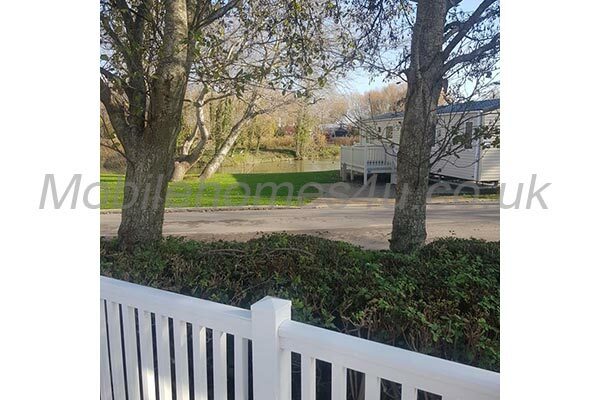 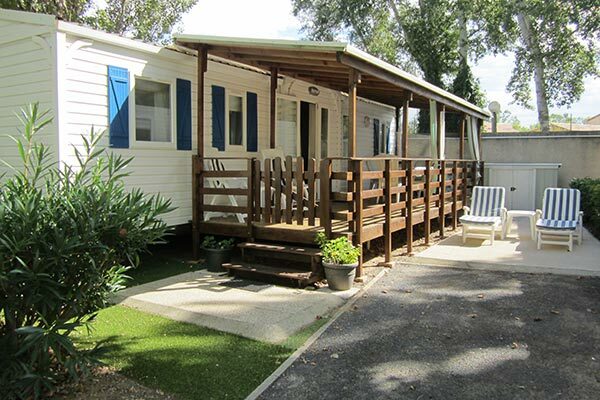 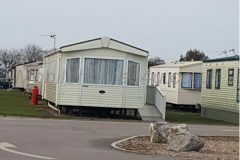 Our large mobile home is situated on the 4 Star site of La Carabasse in Vias Plage in the Languedoc region of South France. 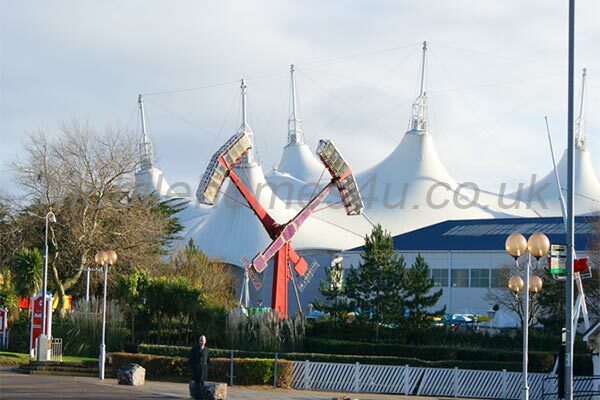 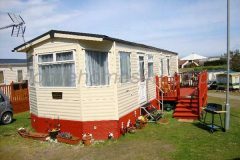 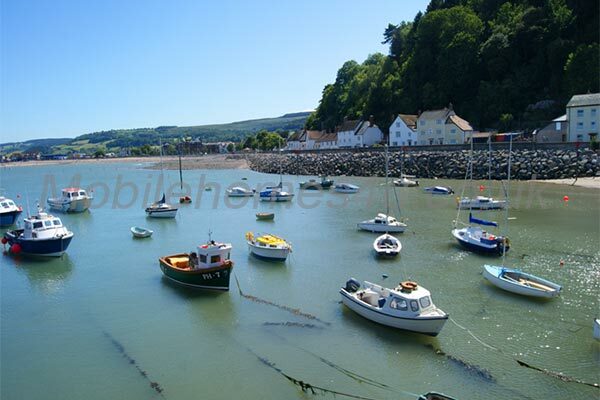 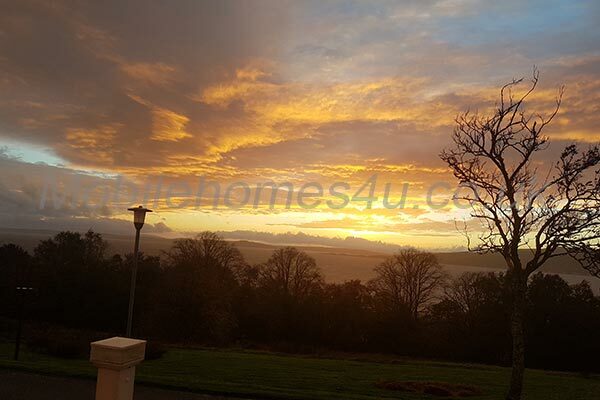 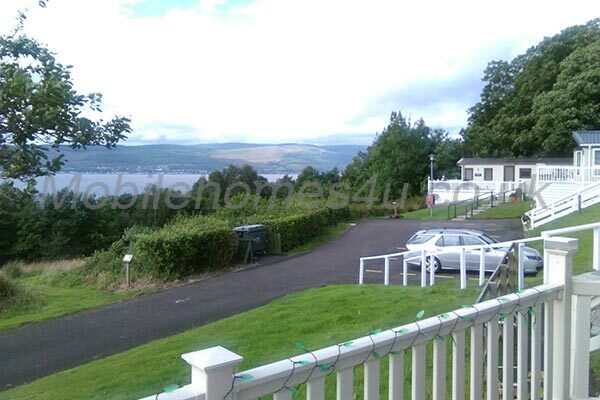 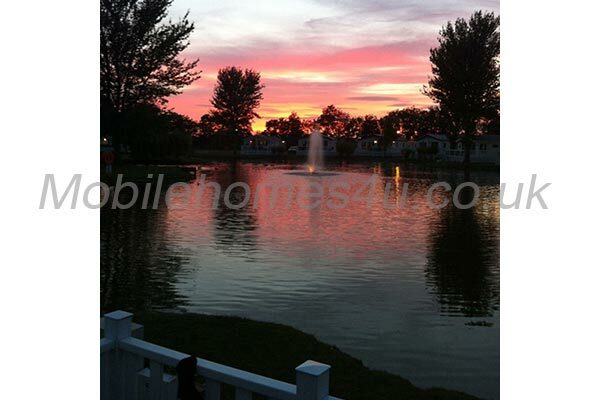 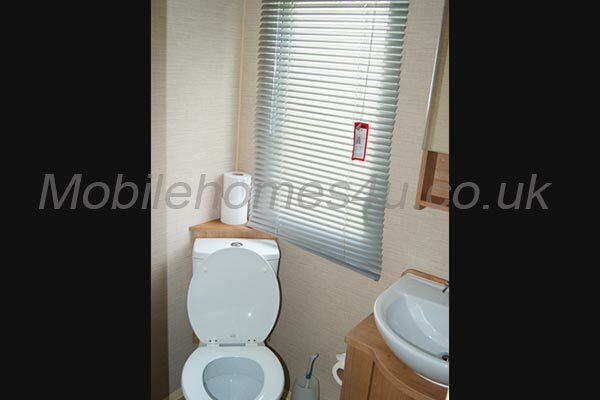 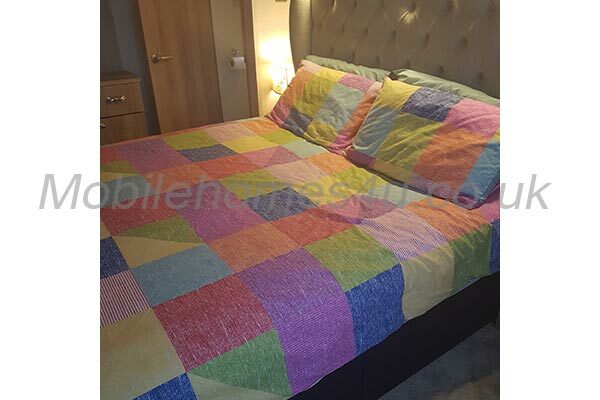 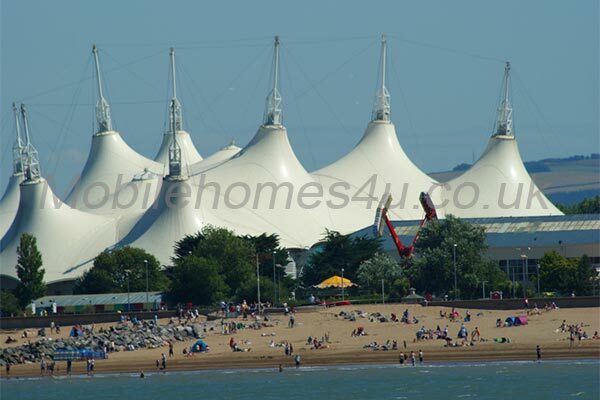 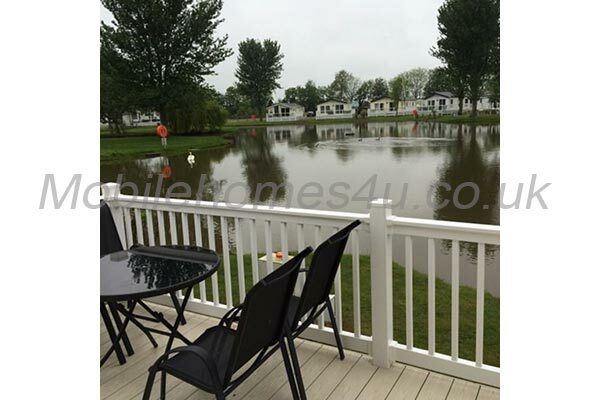 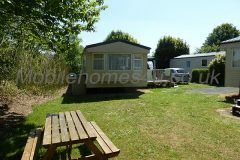 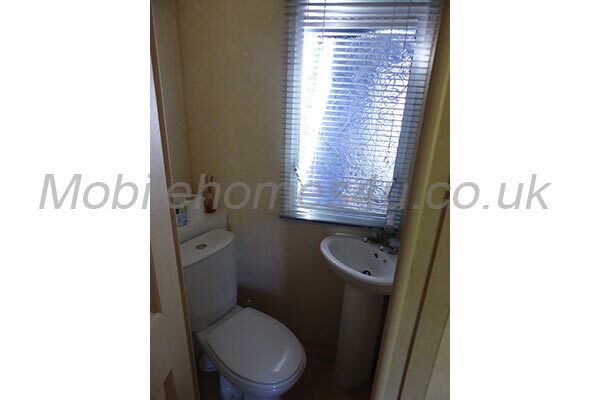 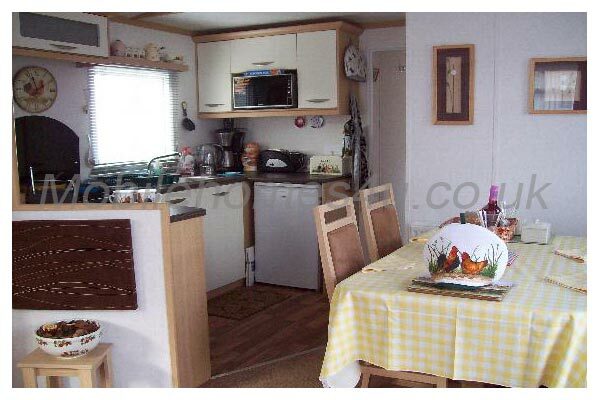 The mobile home has mains gas, air conditioning, British TV channels and a washing machine. 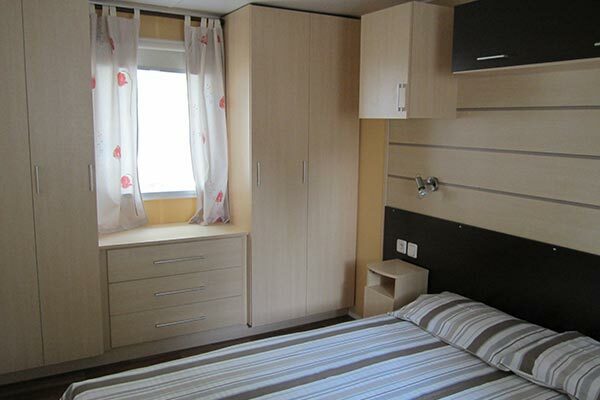 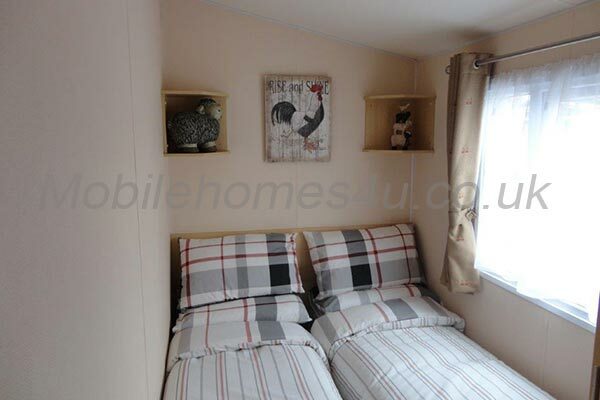 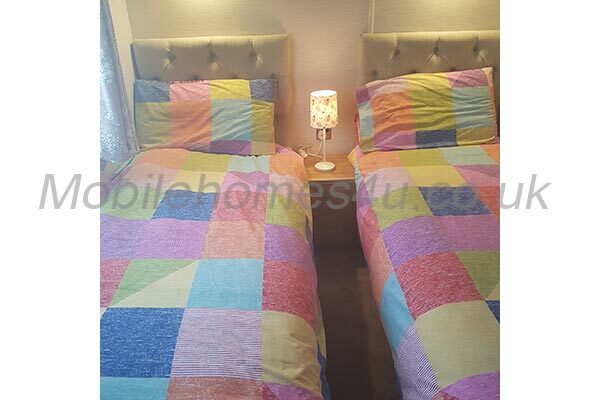 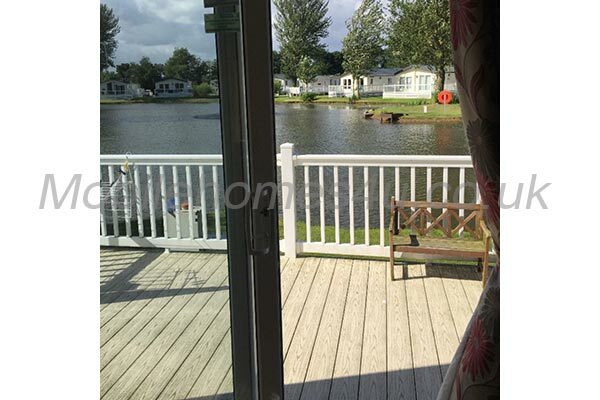 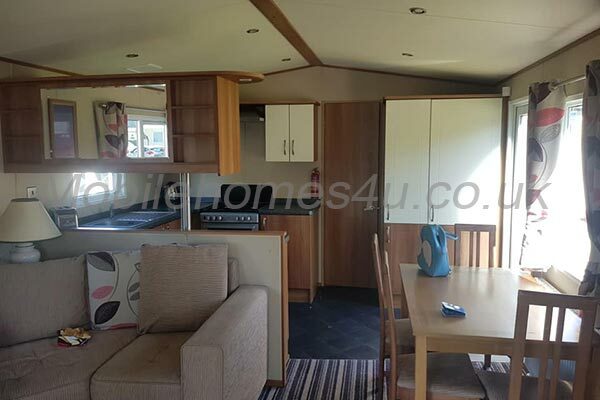 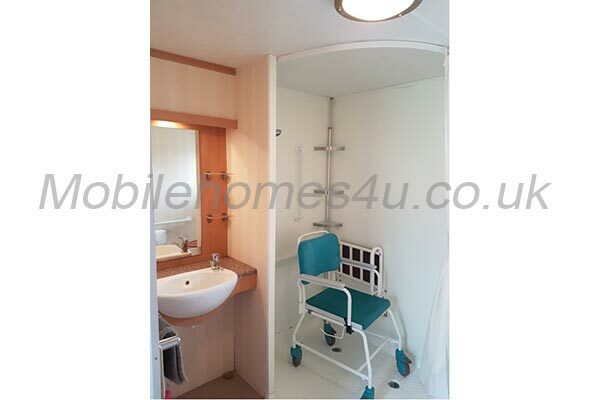 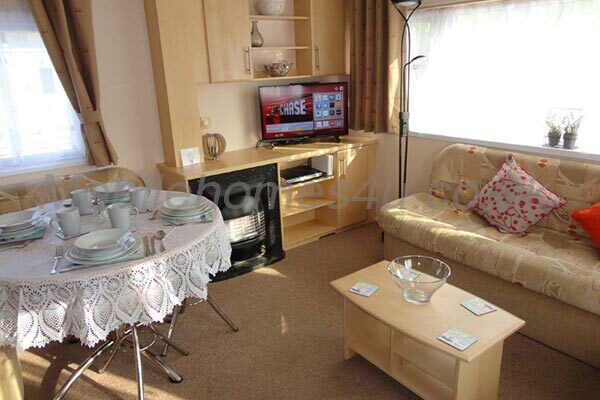 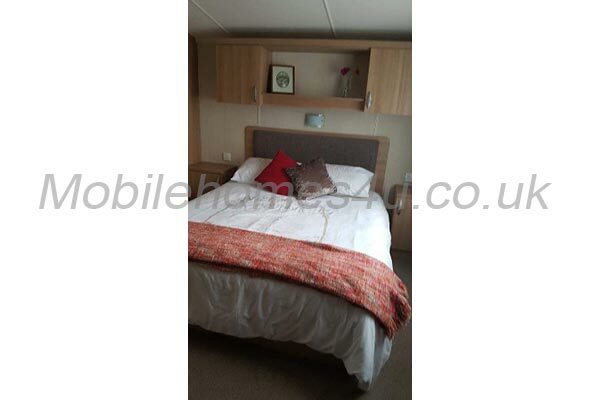 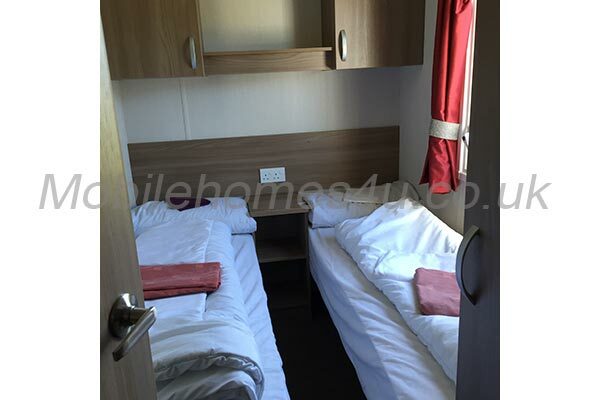 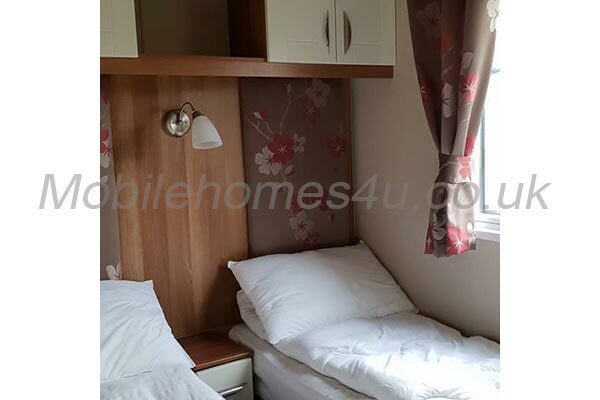 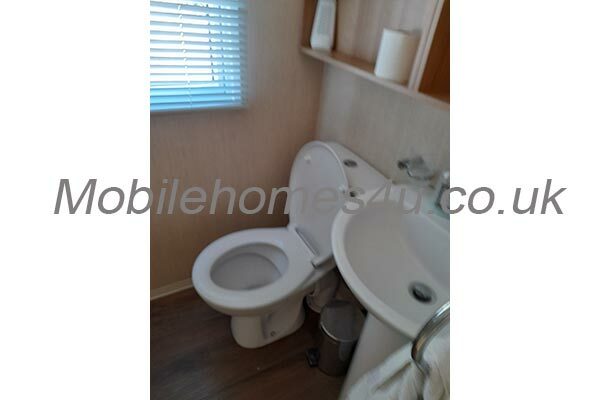 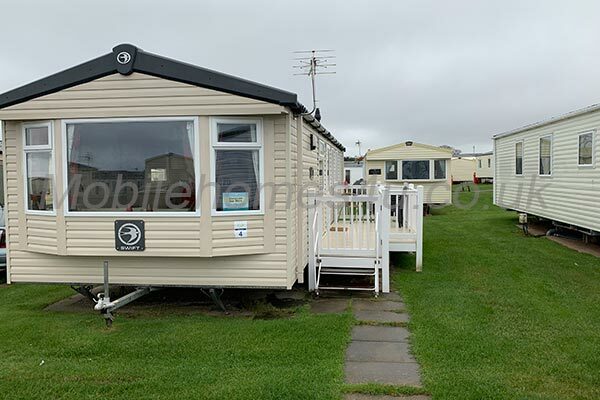 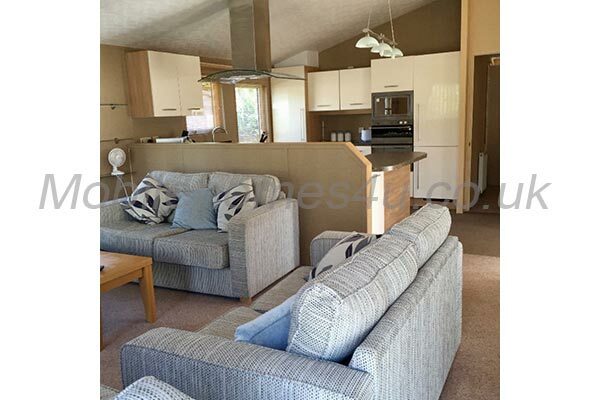 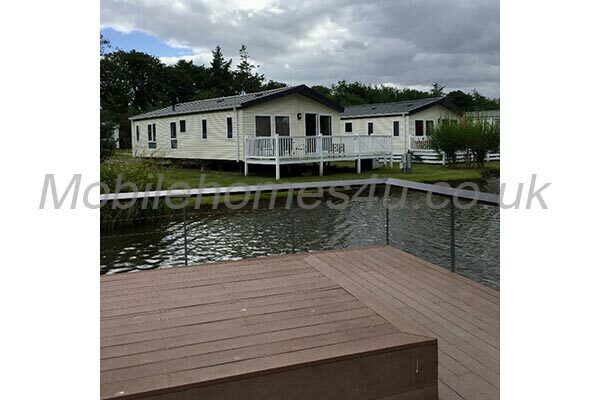 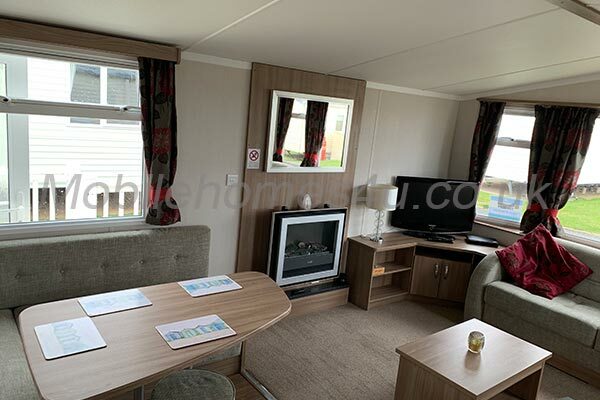 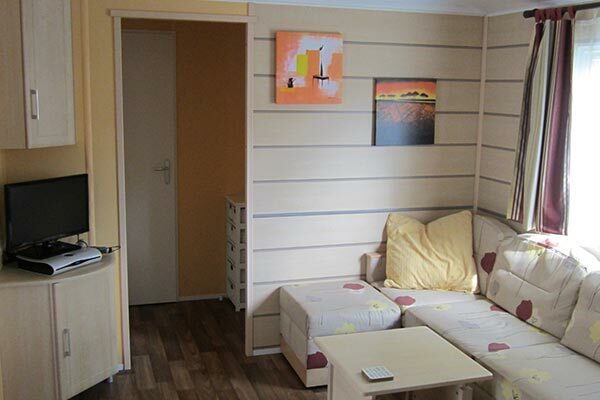 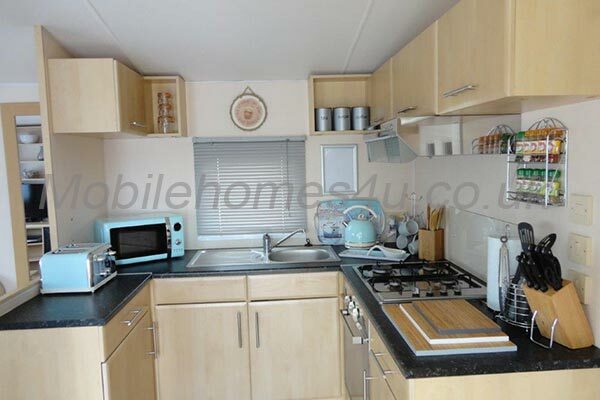 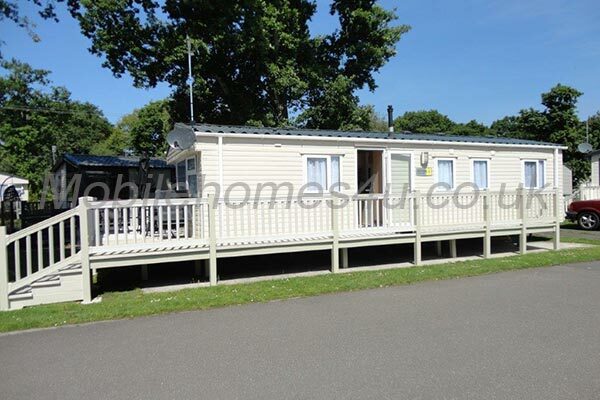 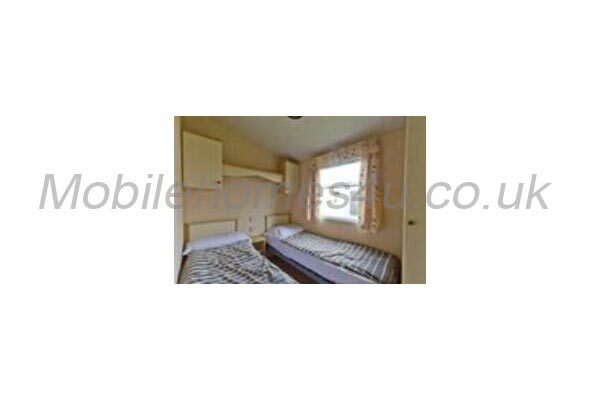 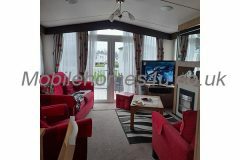 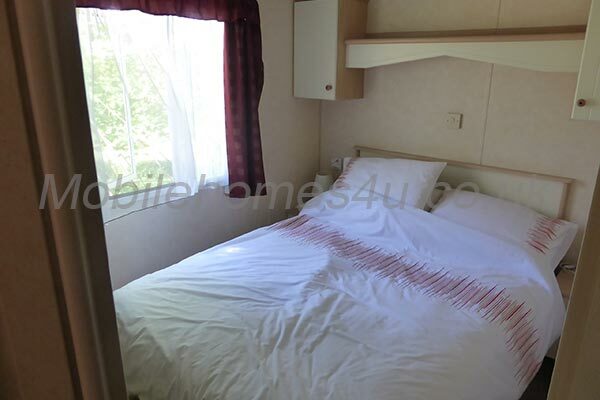 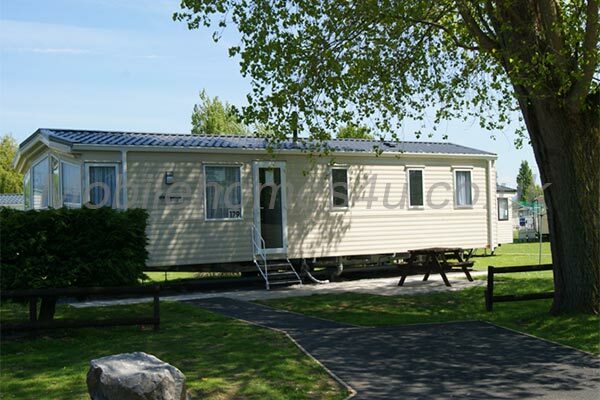 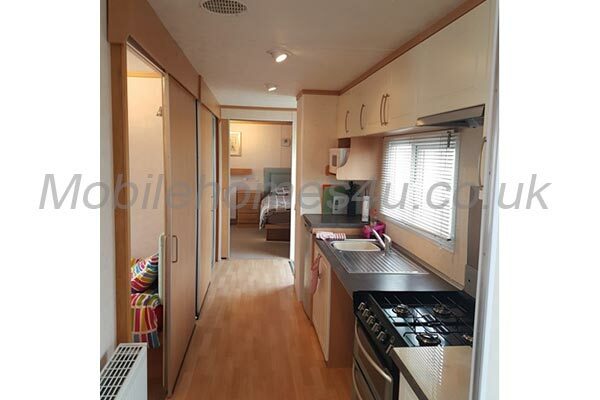 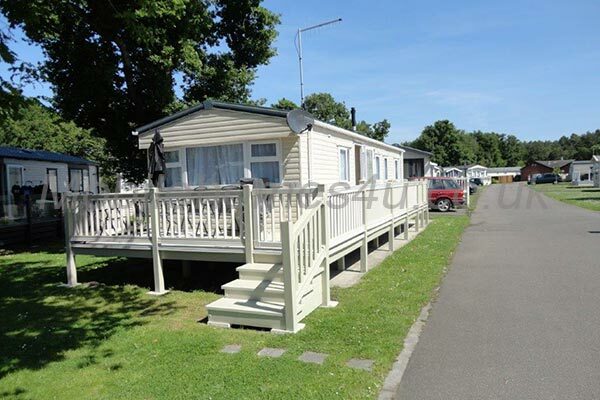 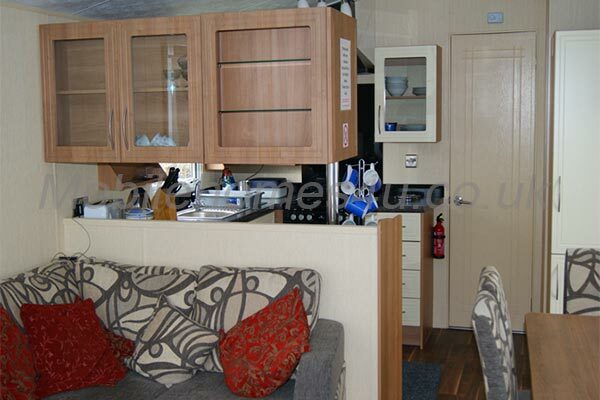 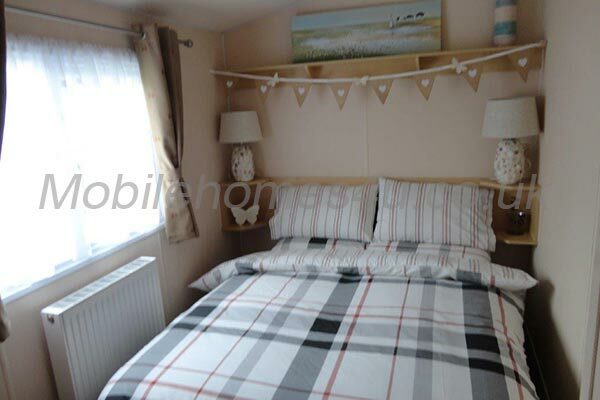 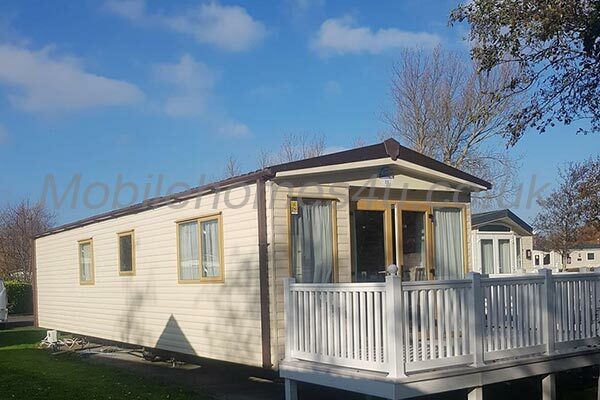 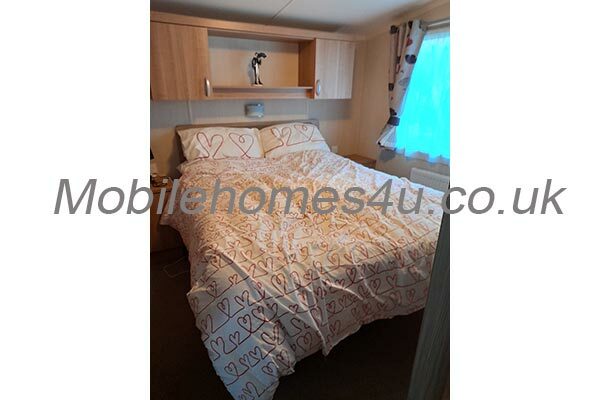 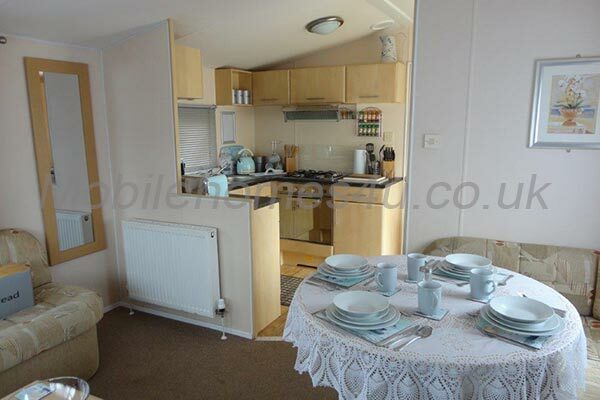 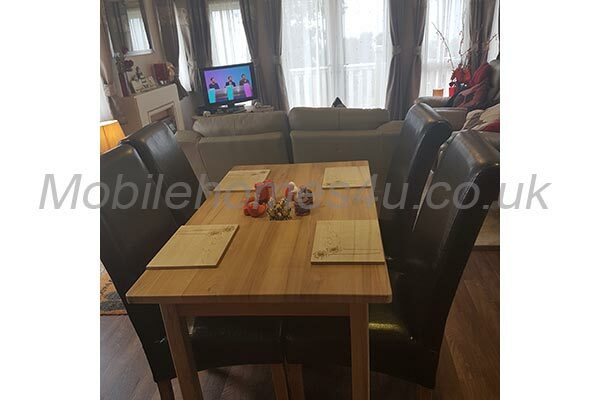 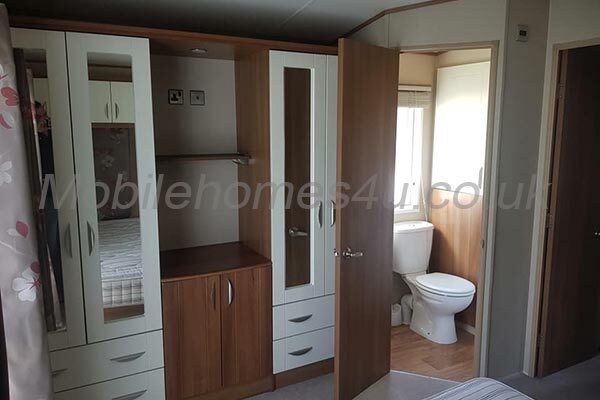 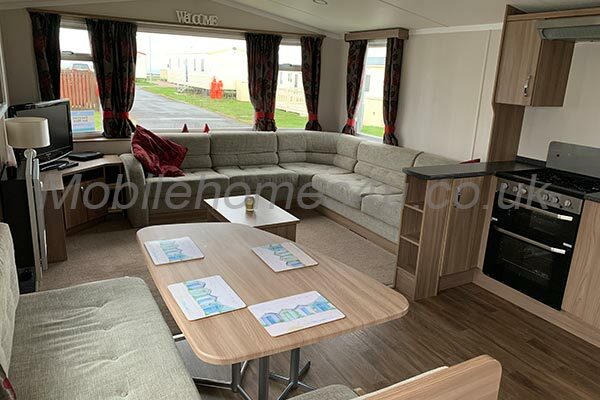 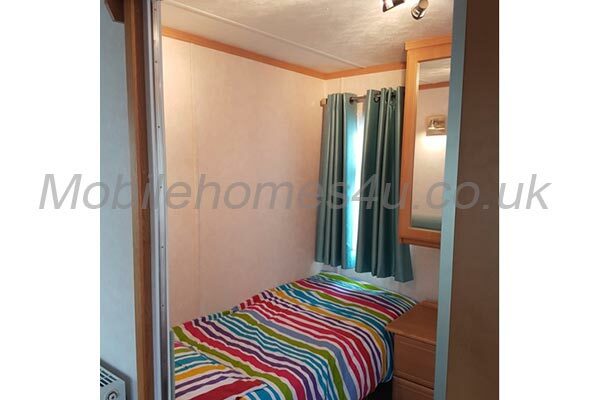 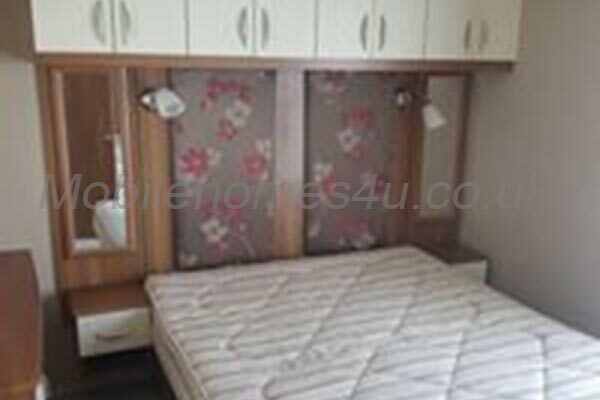 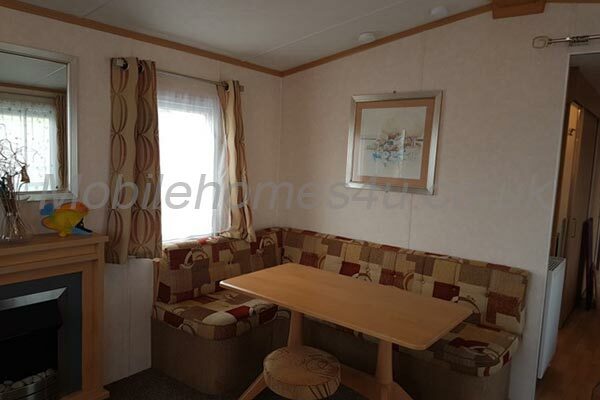 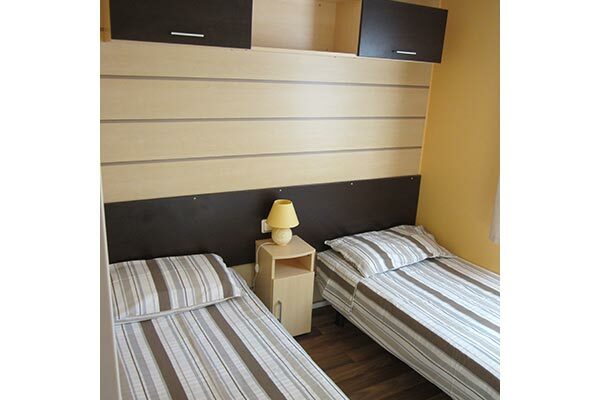 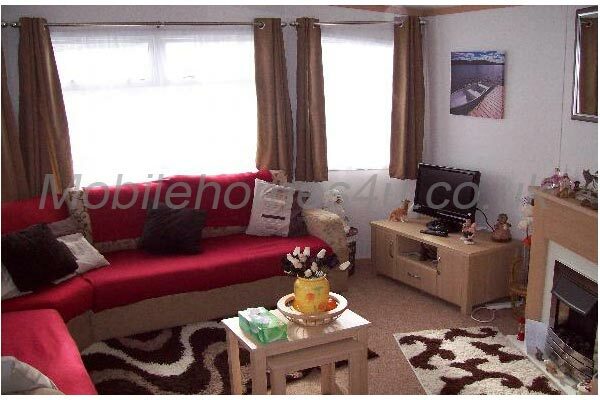 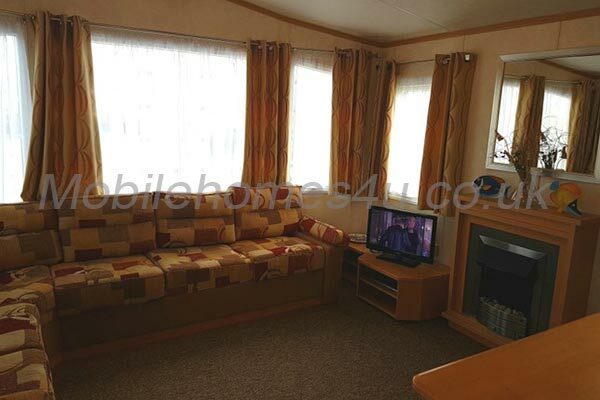 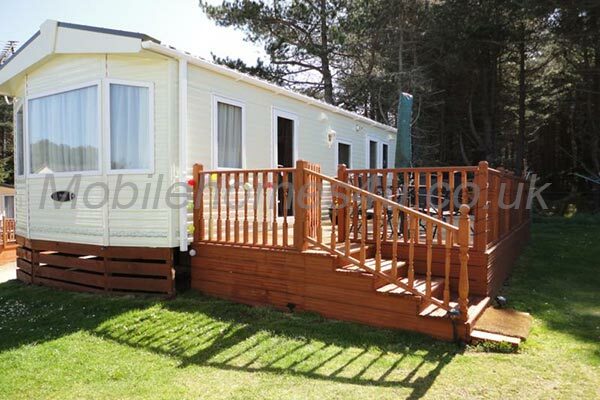 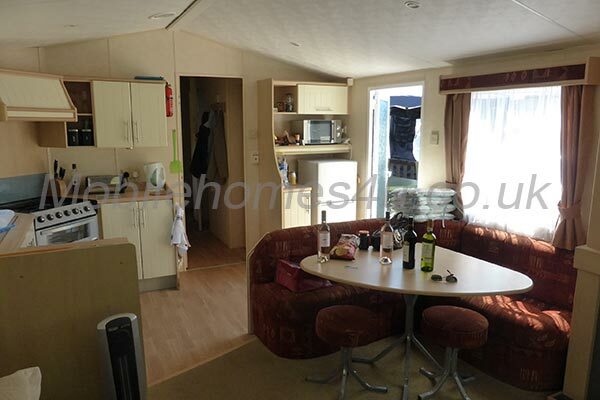 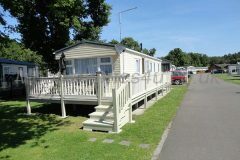 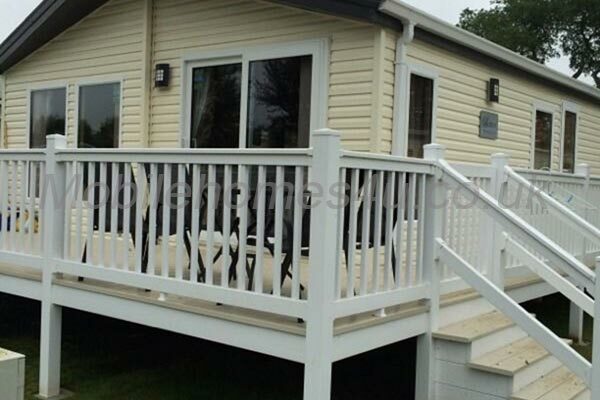 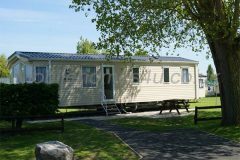 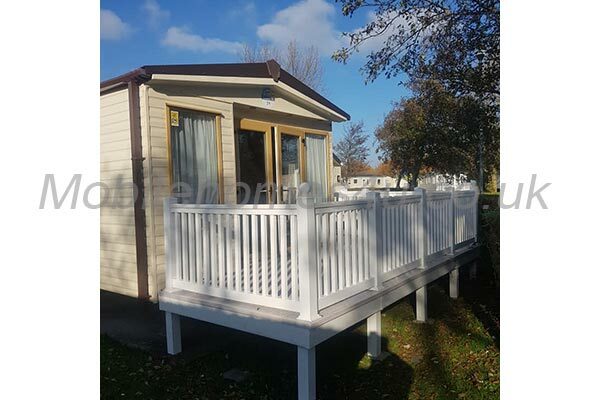 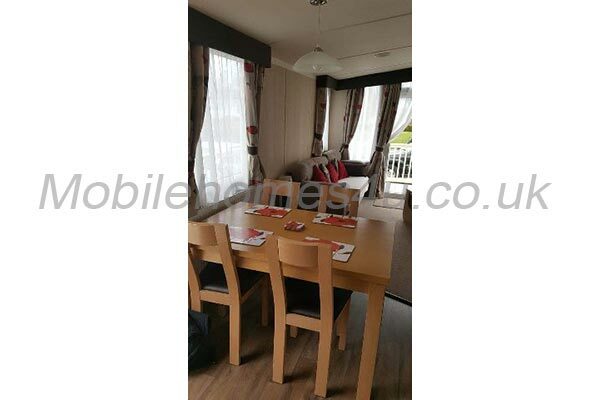 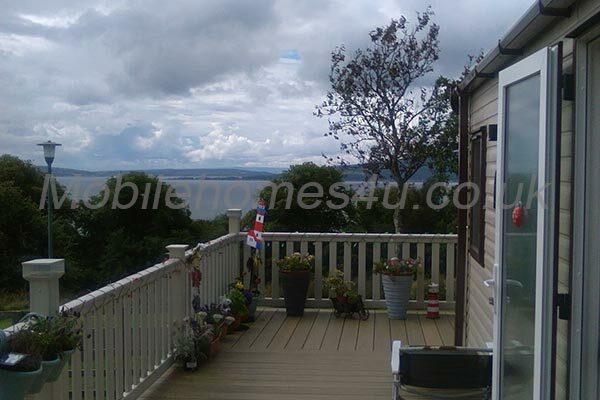 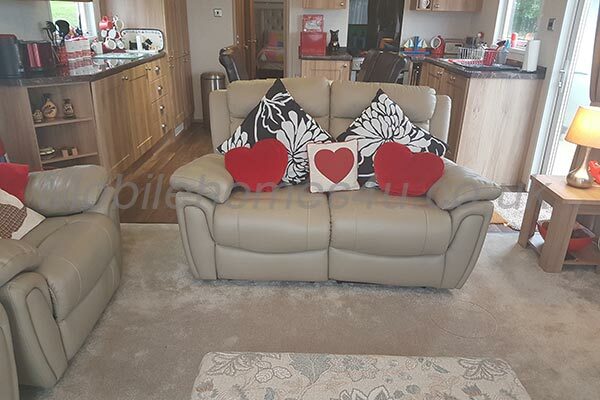 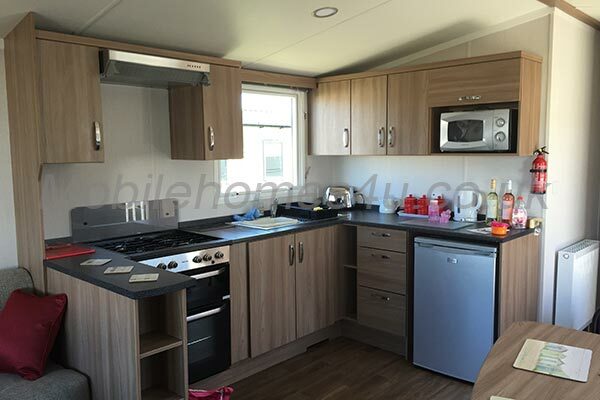 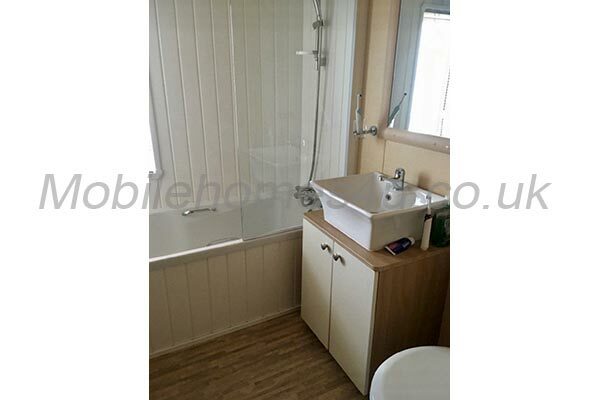 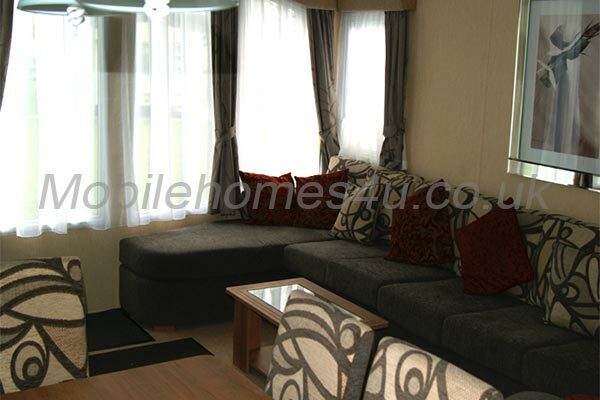 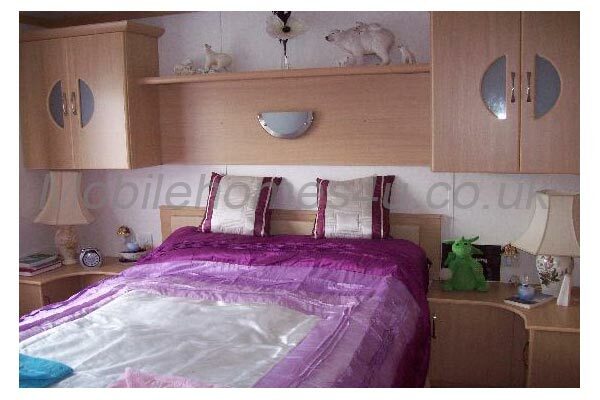 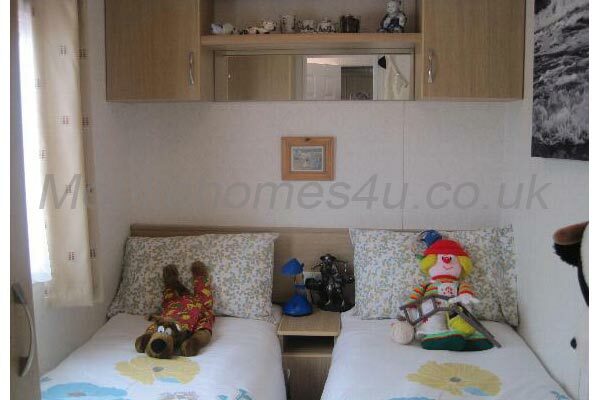 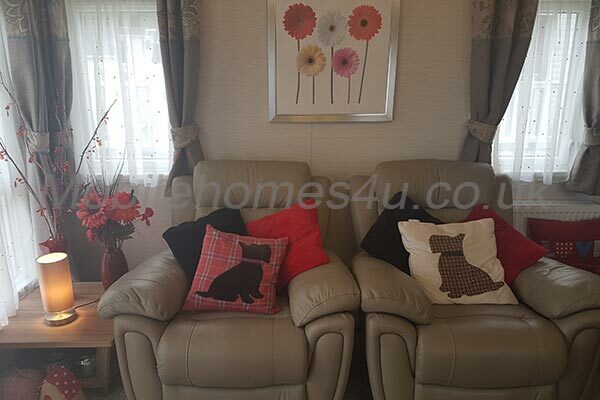 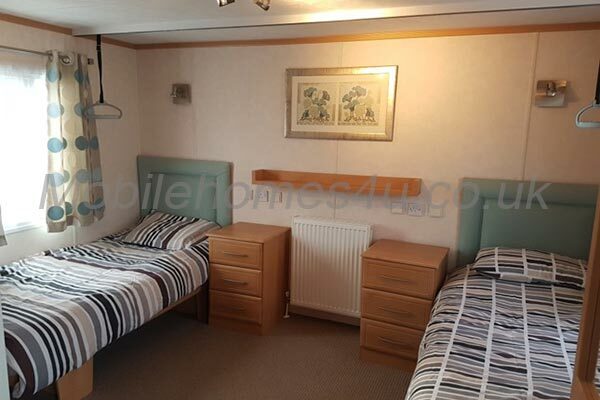 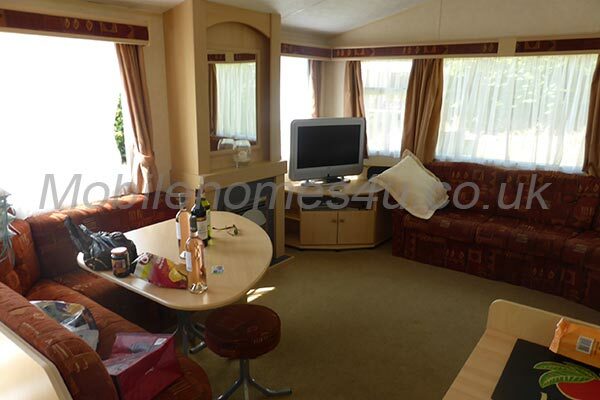 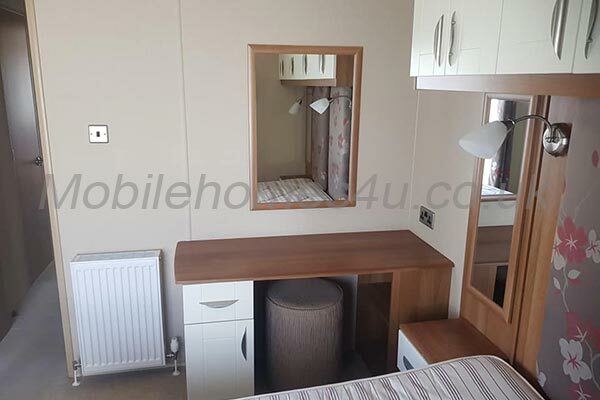 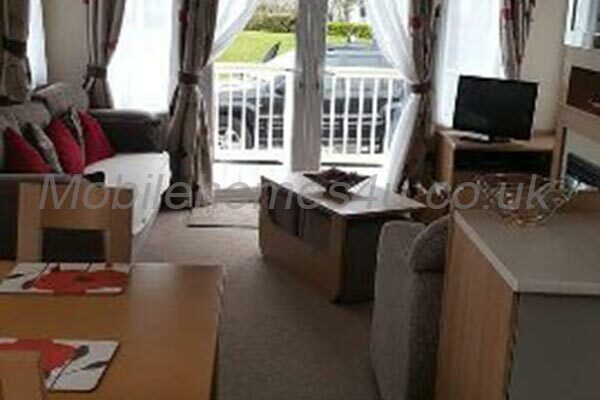 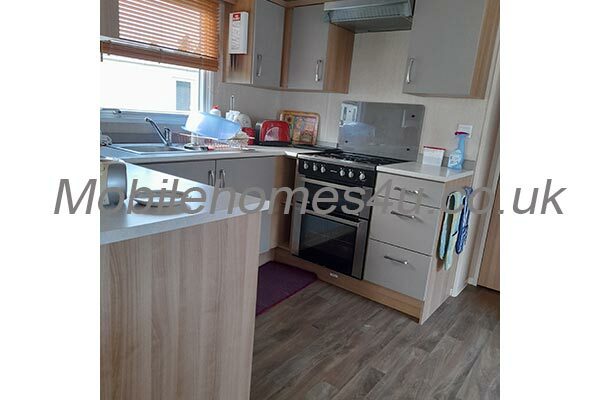 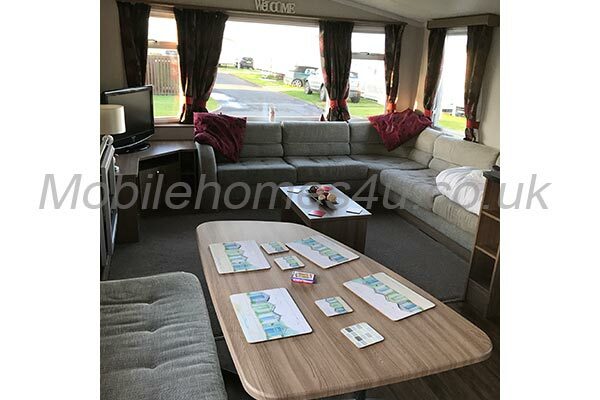 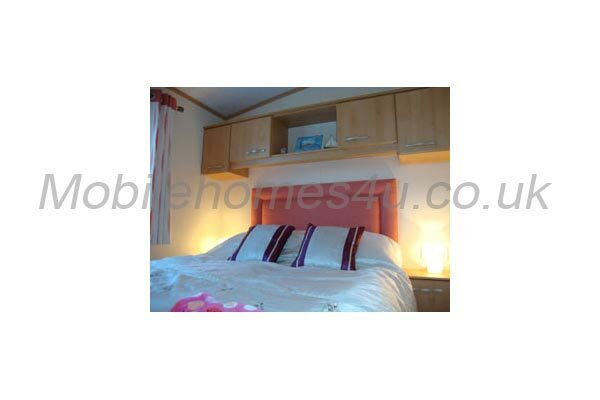 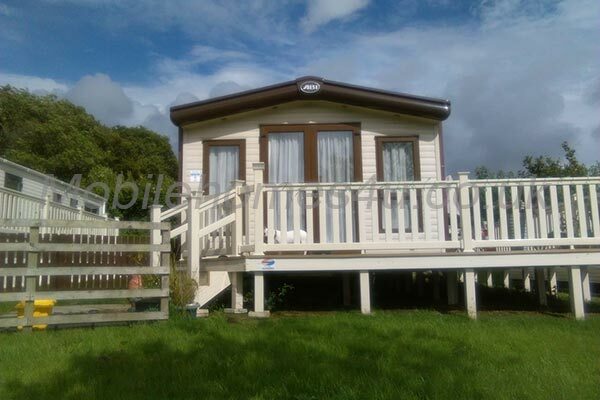 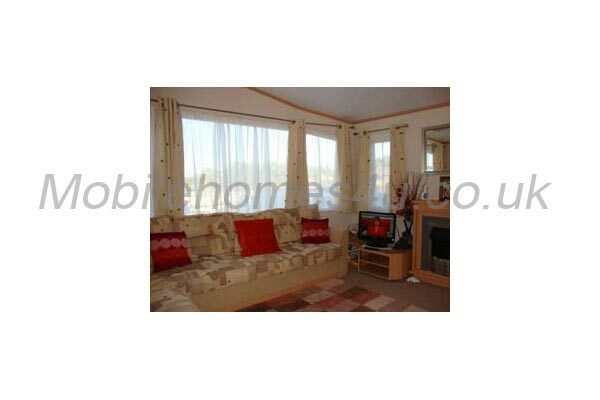 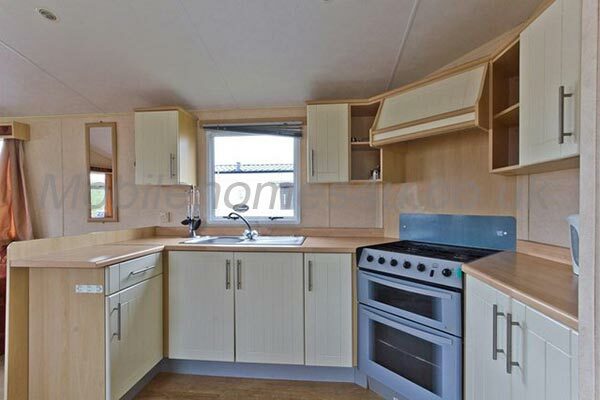 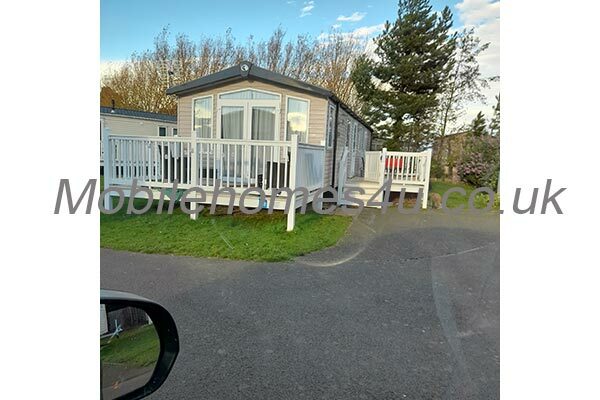 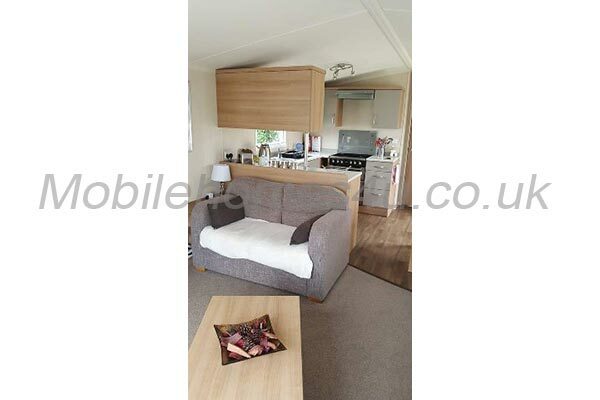 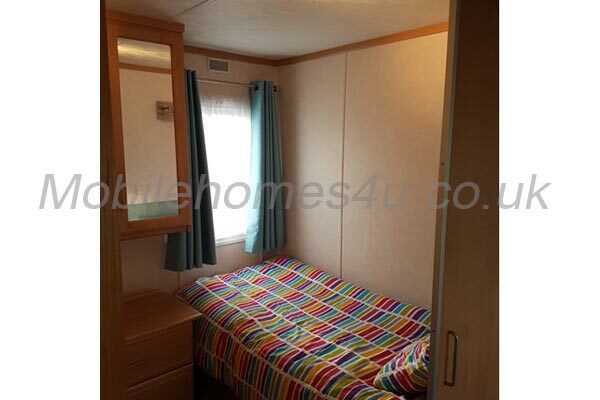 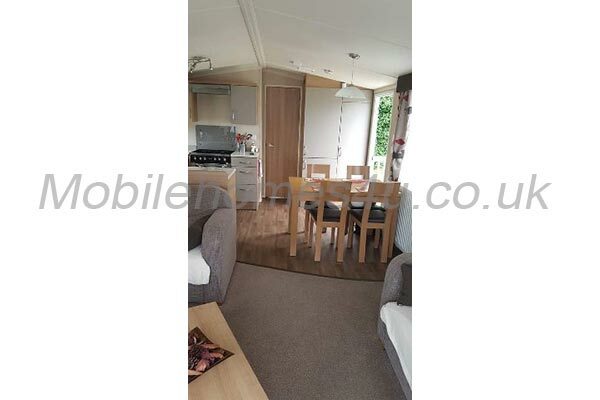 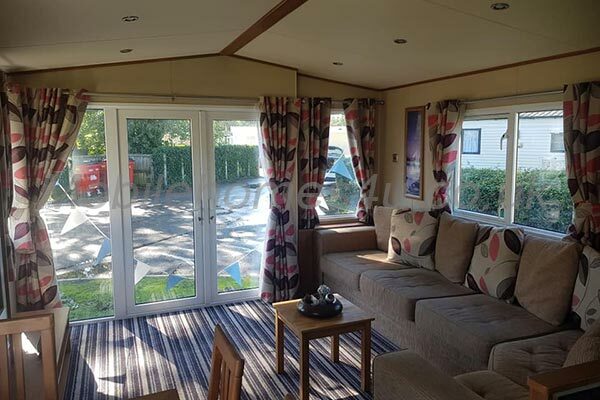 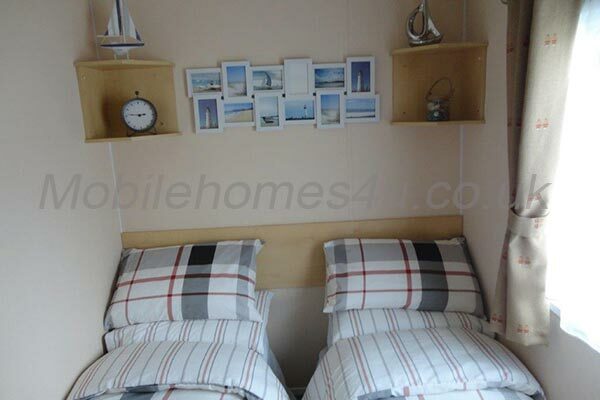 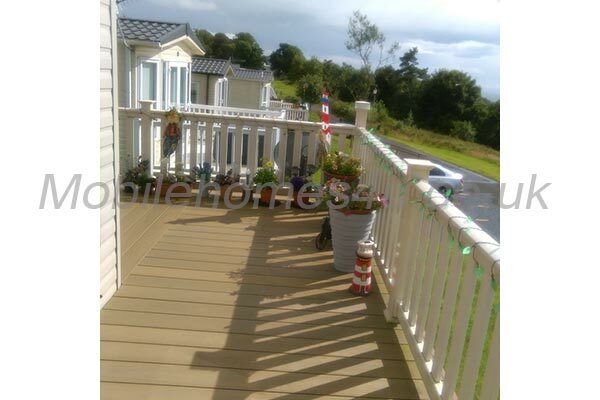 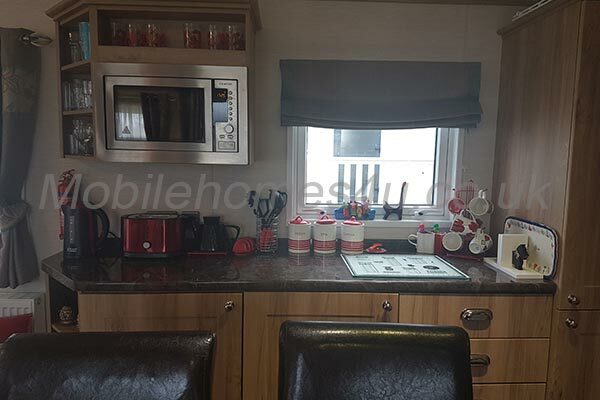 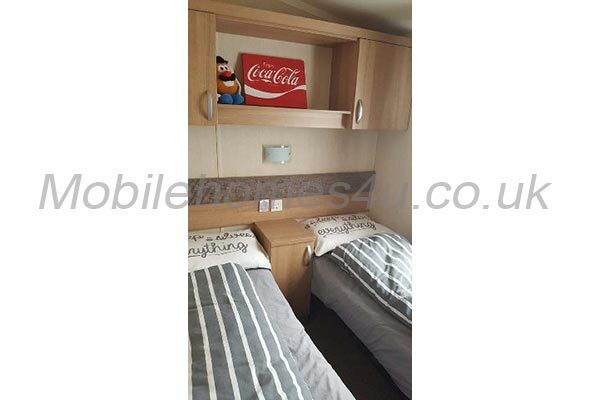 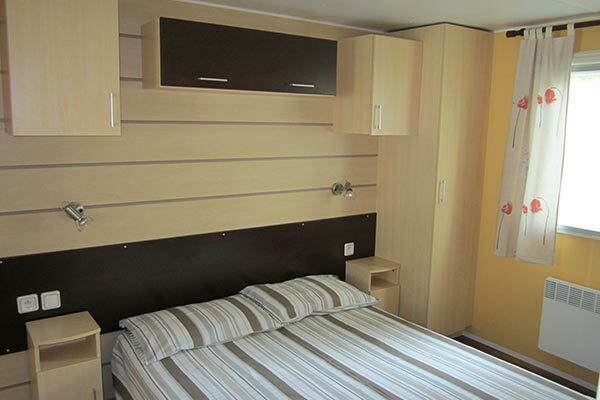 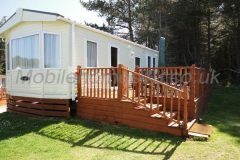 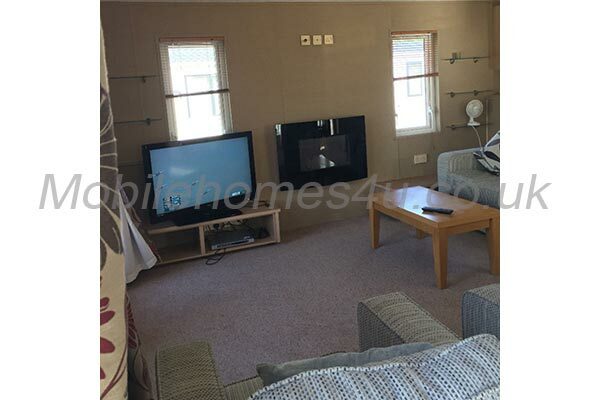 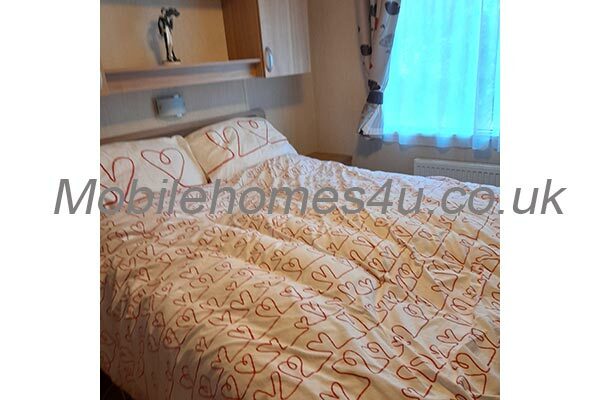 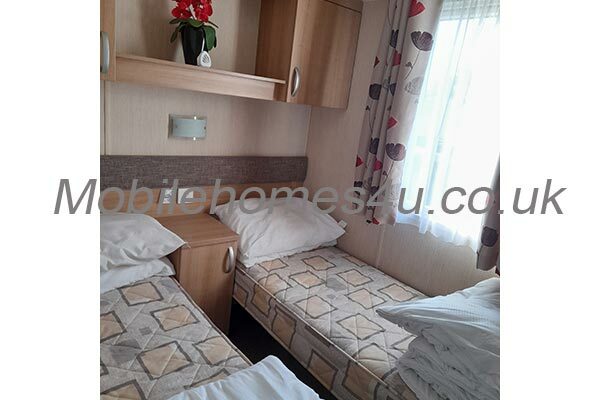 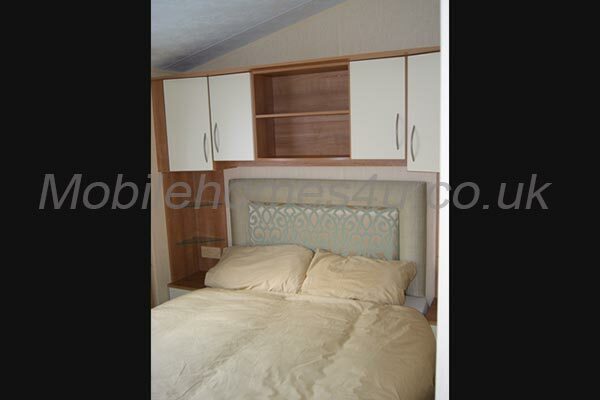 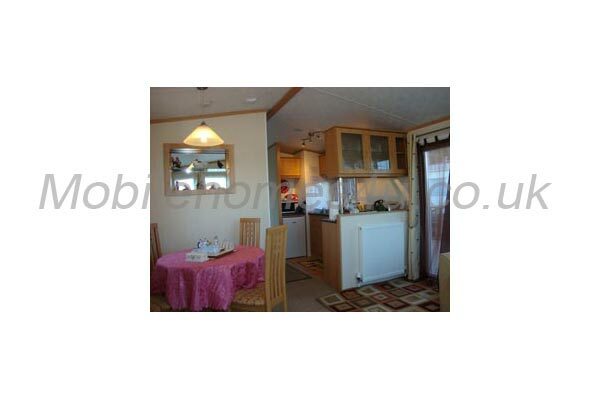 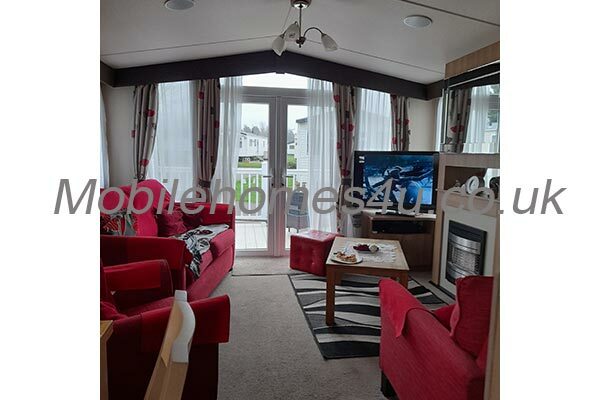 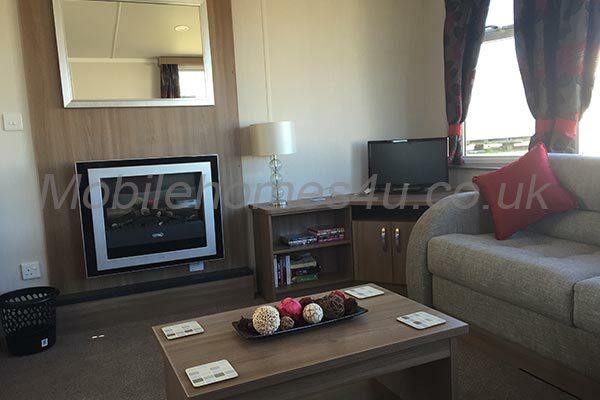 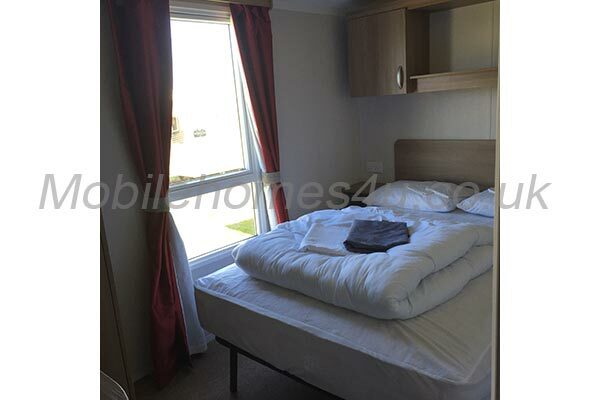 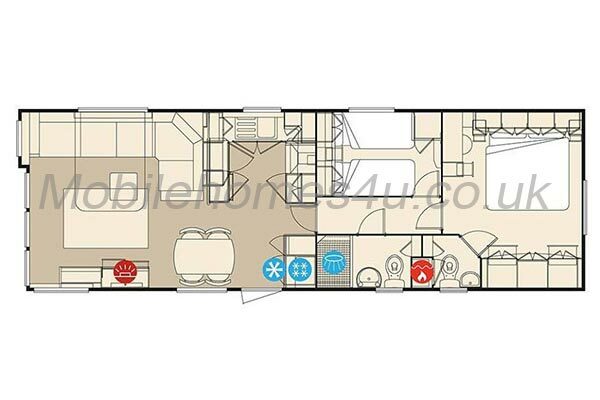 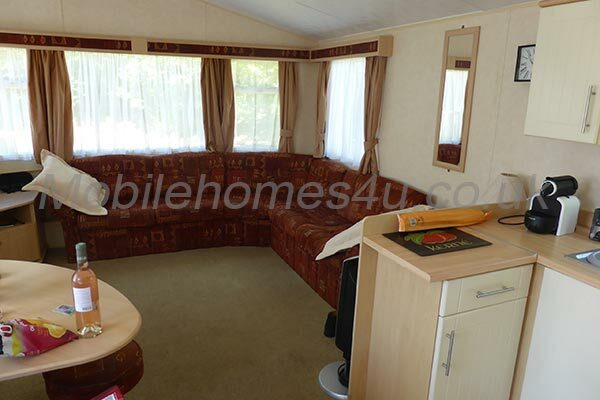 The lounge area has a pull-out bed that can be used, but 4 people is the optimum number for this lovely mobile home. 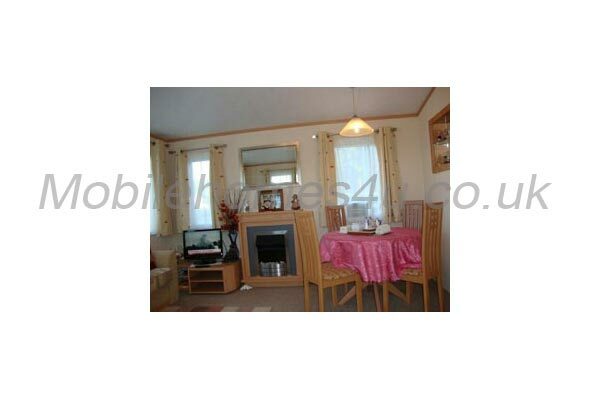 We also have Btitish TV channels. 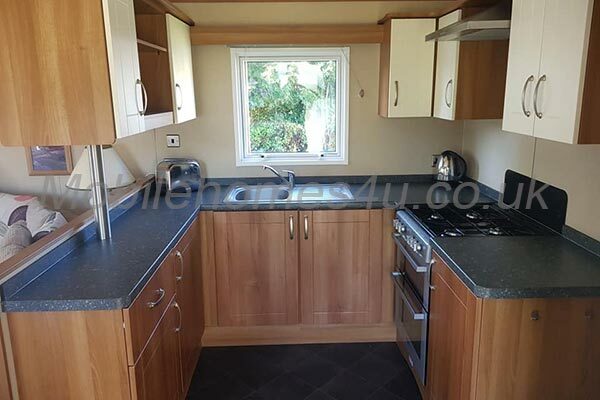 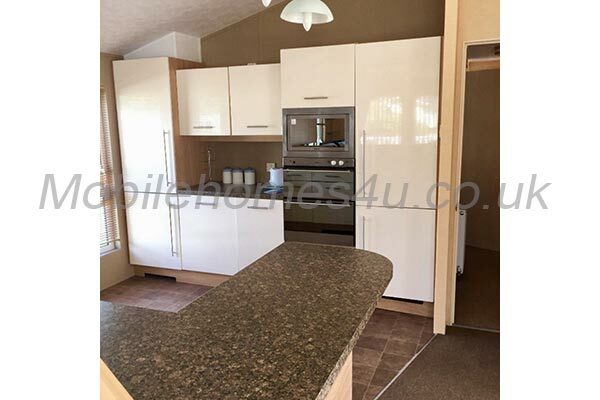 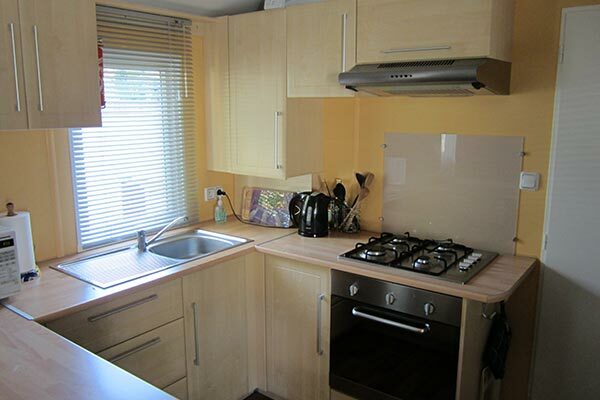 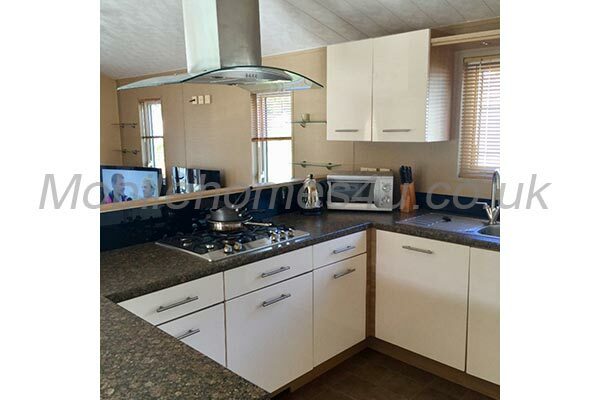 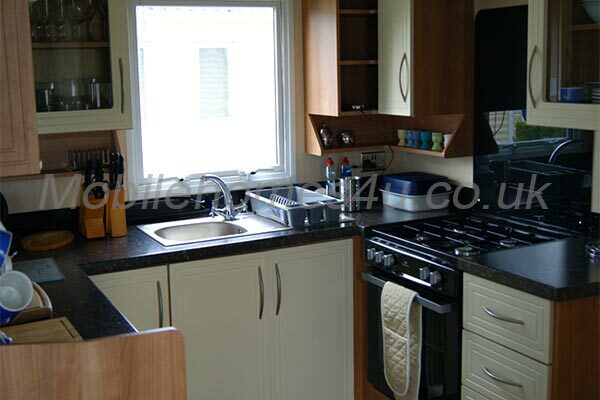 The kitchen area is fully equipped with gas hob, oven and microwave. 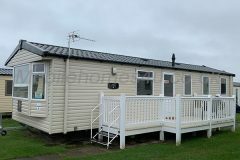 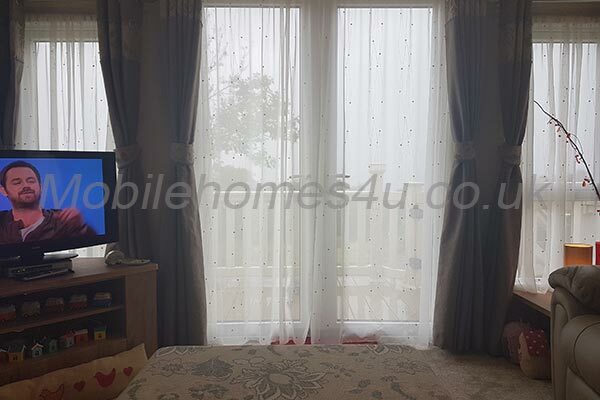 The master bedroom is very spacious, being the full width of the mobile home, and has ample storage provided by wardrobes and drawers. 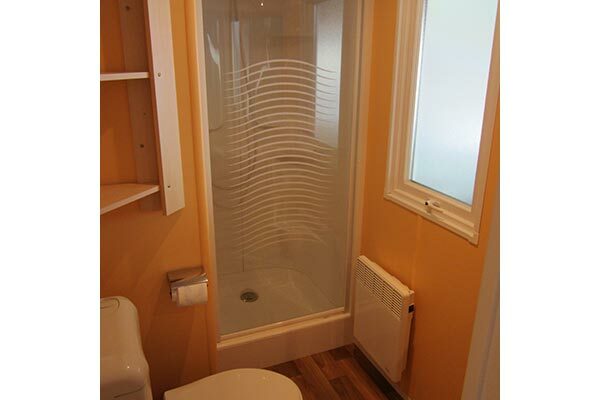 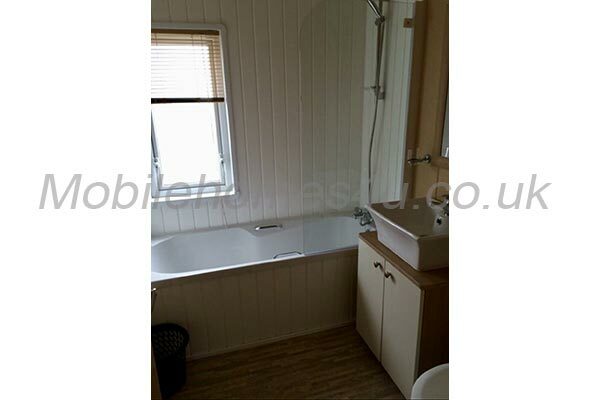 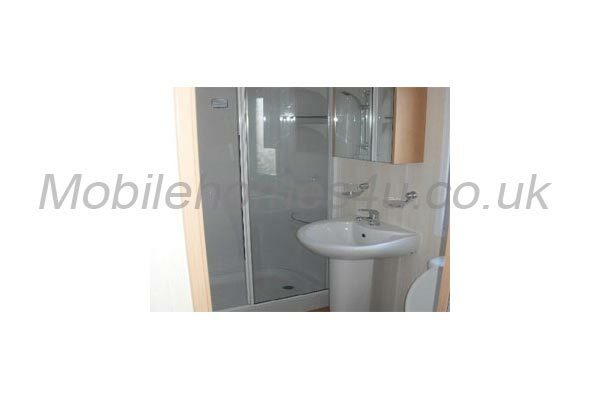 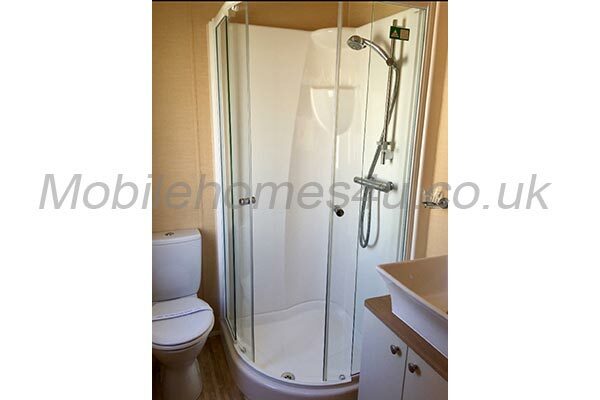 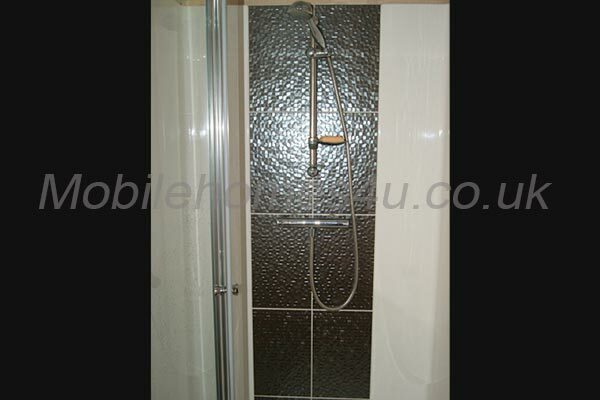 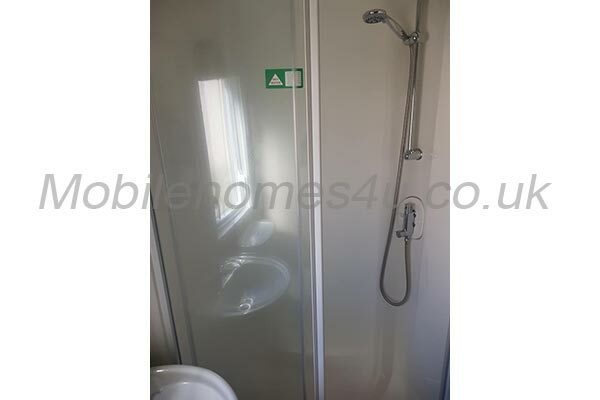 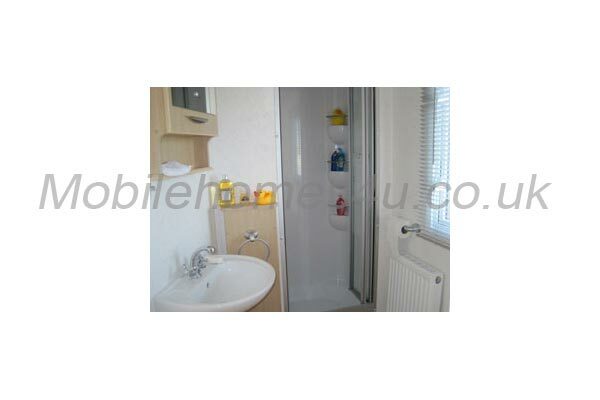 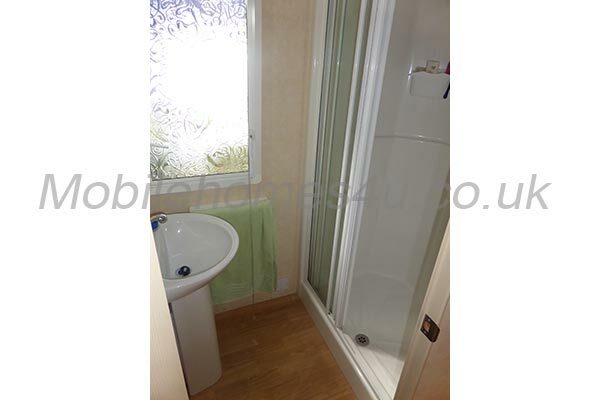 It also has an en-suite shower room. The two spacious bedrooms are separated by the lounge, kitchen and dining area. 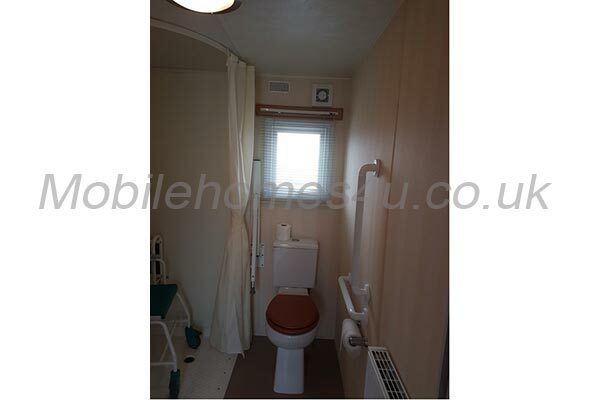 It also benefits from 2 shower rooms and toilets. 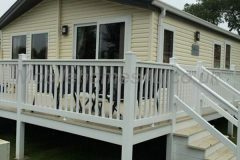 Outside there is a large terrace with a roof that provides some shelter from the sun and is ideal for al-fresco dining. 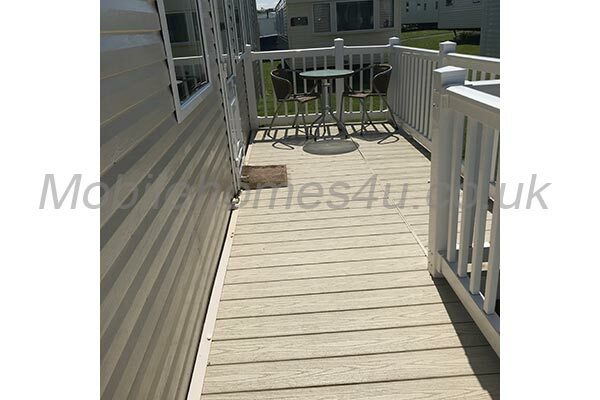 A patio area with two sun loungers and BBQ gives further options and space.